Color studies are perfect for exploring different arrangements of color without having to worry about other aspects of painting like accuracy and composition. In this post I will walk you through how to go about doing color studies and what you can learn from them. What Is A Color Study? A color study is usually a small painting or drawing which focuses almost entirely on color arrangements. The goal of a color study is not to create a beautiful painting, but rather to explore and test different arrangements of color. It is often done as a lead-up to a more serious painting. The idea is to simplify all the other elements so that only the most dominant arrangement of colors is revealed. This means simplifying all the “noise” such as edges, intricate drawing, brushwork, value and so on. The end result will appear primitive and rough, but it will give you a clear indication of what the arrangement of colors will look like in a more serious painting. You can then make an assessment of whether to proceed with that color arrangement, make an adjustment or paint something else. Multiple color studies are often done of the same subject to explore different arrangements. Sometimes it may be to test slight variations of the initial color study. For example, you might want to test high-key and low-key variations of a color study. Other times you might want to test completely different color arrangements against each other. 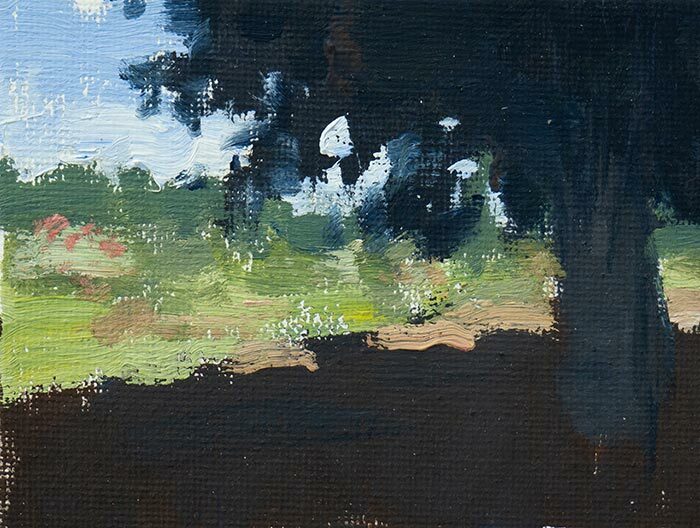 For example, you could do one color study of a subject using the colors of a bright, sunny day. Then another color study of the same subject but this time using colors of a warm sunset. The same subject is painted, but the colors used are dramatically different. The level of detail used in a color study often varies from a basic arrangement of color shapes, to a more sophisticated color study which captures the subtle changes in tone. In any case, you should simplify most of the detail so that color is in fact the main focus. The first step is to see and identify the colors you want to paint. Ask yourself... What is the darkest color? What is the lightest color? What is the strongest (most intense or vivid) color? What are the most prominent hues (pick 3-4)? Once you have identified the colors, you should simplify the group down to the most important colors. What colors are important to your vision? What colors will work in the context of the painting and what colors can be left out? Try to ignore the edges, details, textures and elements other than color. This is easier said than done. Use a large brush as it makes simplification much easier. The medium is not important, as long as it has color. You could use colored pencils, oils, acrylics, watercolors or gouache. If you are painting on-location, then a fast-drying medium is preferable. This is the perfect time to experiment with colors you are not familiar with. Experiment and push your colors as far as you can. With more serious artworks, we tend to fall into routines with our colors. Use color studies to break out of these routines so that you keep expanding your knowledge of color. I am always amazed by what some artists are able to achieve with just a simple arrangement of colors on a canvas. It reminds me that I have so much to learn in terms of color, so there is no room for a routine. 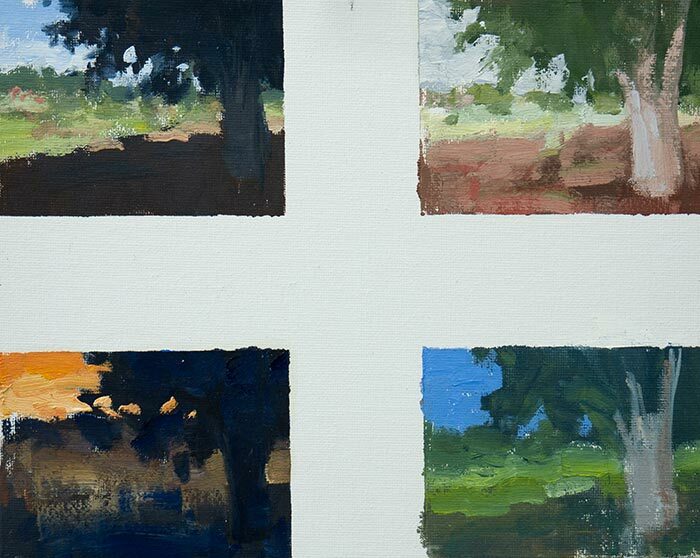 Although color is of course the focus, you can also use color studies to experiment with your brushwork. Don’t worry about making mistakes. Color studies are meant to be quick and playful, not laborsome tasks. A great color study exercise is to create multiple color studies of the same subject under different assumptions about the light and environment. 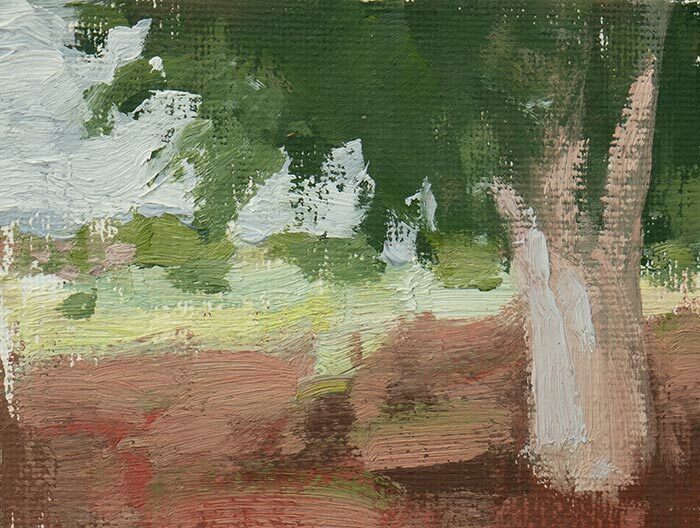 For example, you could paint a color study of a simple landscape scene in clear weather under the midday sun. Then create other color studies of the same subject but under different assumptions about the weather (overcast, stormy, dark, bright, warm, cool, etc). There are two ways you could do this. First, you could keep returning to the same location under different weather conditions. The second option is to paint one color study, then just assume what the colors would look like under different weather conditions. 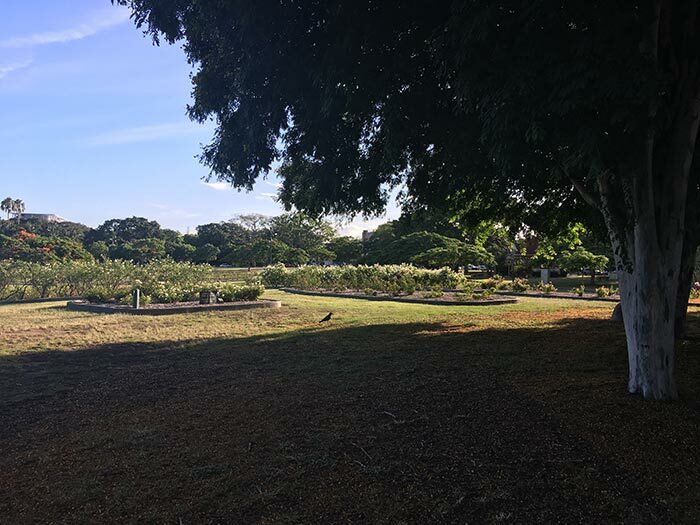 This is the more challenging option because you cannot rely on observation. I will run you through an example of a set of color studies I did using this approach based on a scene at New Farm Park, Queensland, Australia. Below is the reference photo from which I painted and the first color study. It was clear weather and the sun was strong and direct. The contrast between light and dark was sharp, with tinted lights and deep darks. I did not use any highly-saturated colors. This is often the case when painting under direct light from the midday sun. The contrast is so sharp that the colors get lost into lightness or darkness. I painted with warm lights and cool shadows. If you want to learn more about color temperature, read this post. I incorporated a bit of playful brushwork, but nothing serious. I then went on to paint the same subject but under different assumptions. In the second color study, I assumed it was overcast with lots of cloud cover. Notice how all the colors are much softer and the contrast between light and dark is not as sharp compared to the first color study. In the third, I assumed it was at sunset with a strong, warm light. I used a sharp contrast of dark blues against saturated oranges to try and faithfully capture the intensity of the light. 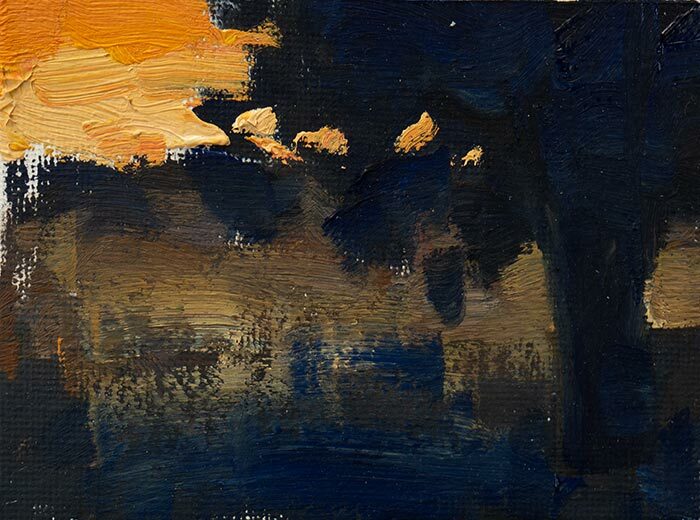 In the final color study I assumed it was late in the afternoon and the light was fading. Like the second color study, I used soft colors for this, but with more saturation. I suggest you try this exercise for yourself. 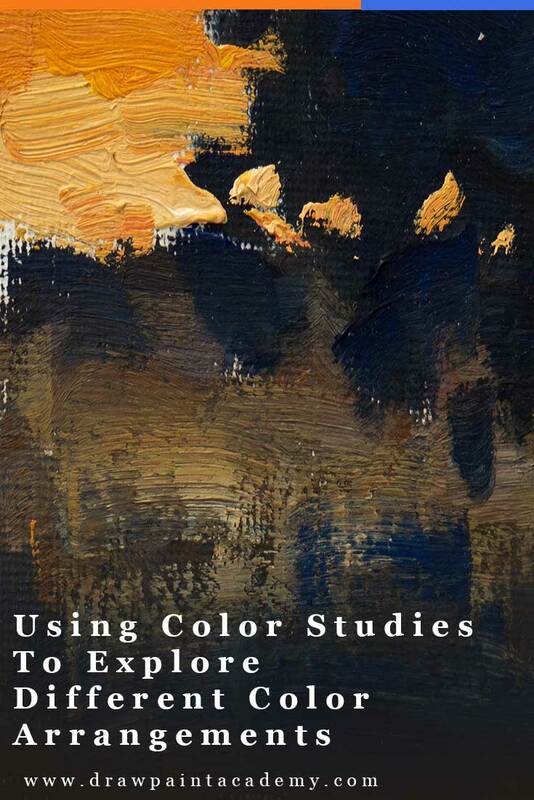 It is an exciting and challenging way to expand your knowledge of color. 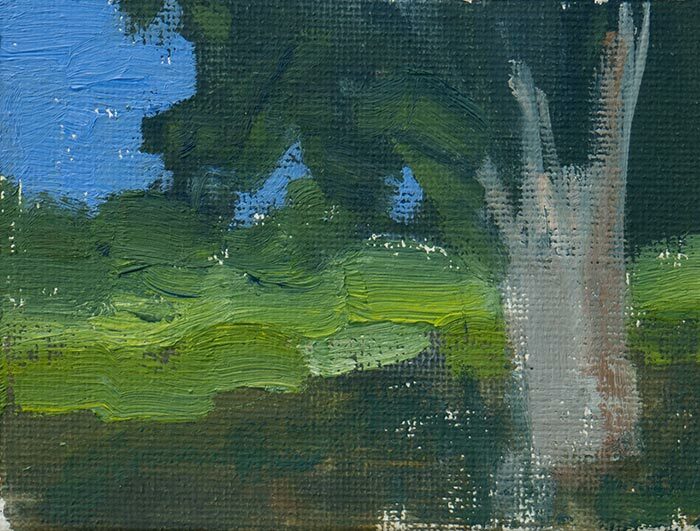 This is an excerpt of my Landscape Painting Masterclass. Come join me if you enjoyed this information. It was very useful information. Thanks for the email. When I get stuck on choosing something to paint I have been painting the same tree in my yard in Montana. I have painted it 6 or 7 times during different seasons/light conditions. Now when I paint it I will think about focusing on the color more – instead of the detail. Thanks very much.